The pricetag for this is a secret: thought Village Roadshow gave AUD1.2 million to pass the precursor to this bill, Village Roadshow refuses to say how much it spent in this cycle, and Australia's backwards election-spending transparency rules mean we won't find out for months, after this has faded from the news cycle (prior to this bill, Village Roadshow's all-time lobbying spend topped AUD6.7 million). “We should have real-time disclosure of donations,” Rimmer, a critic of the bill, said. 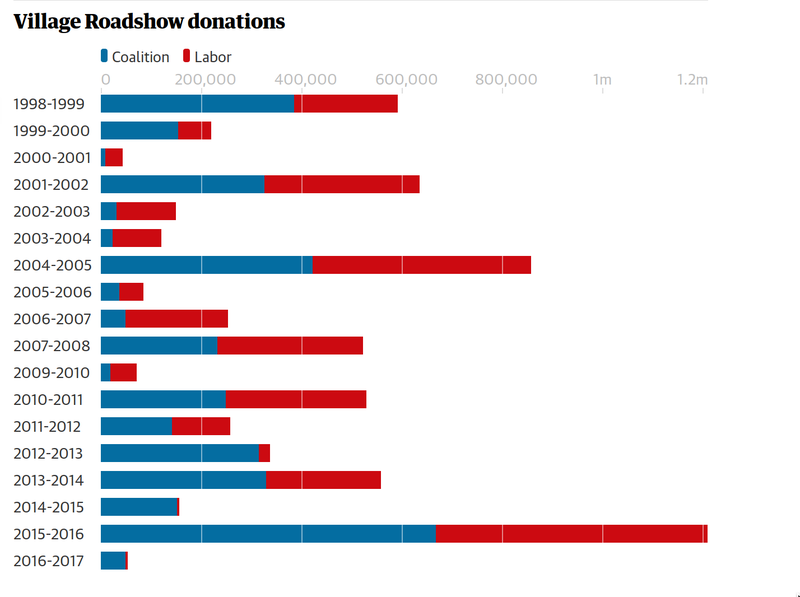 “We don’t know at the moment whether Roadshow or other copyright owners contributed to the Coalition, ALP, Centre Alliance and the Greens. We don’t know whether ISPs and search engines made political donations to try to stop the bill.